I scream! You scream! We all scream for ice cream! Summer is obviously the perfect time for ice cream and my kids would eat it every single day if I let them! 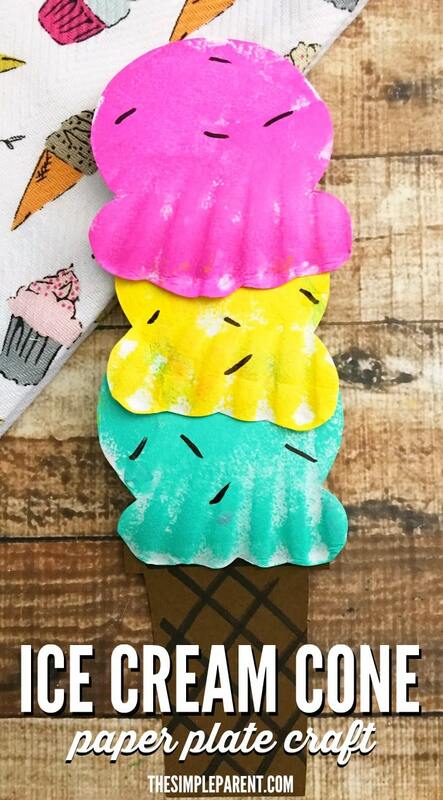 So this fun paper plate ice cream craft is a fun one for this time of year! 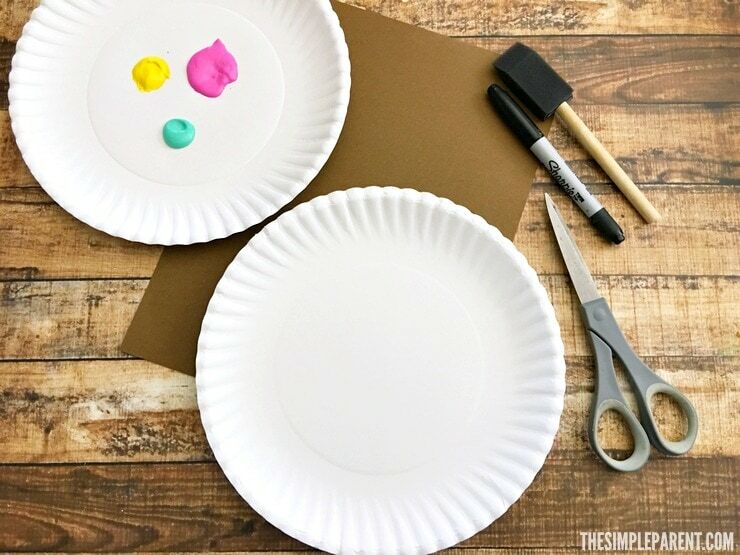 If you’re wanting to do some ice cream themed activities with the kids, this paper plate ice cream craft is just one idea! There are tons of other things you can do together and we included a list at the bottom of this post with even more ideas! 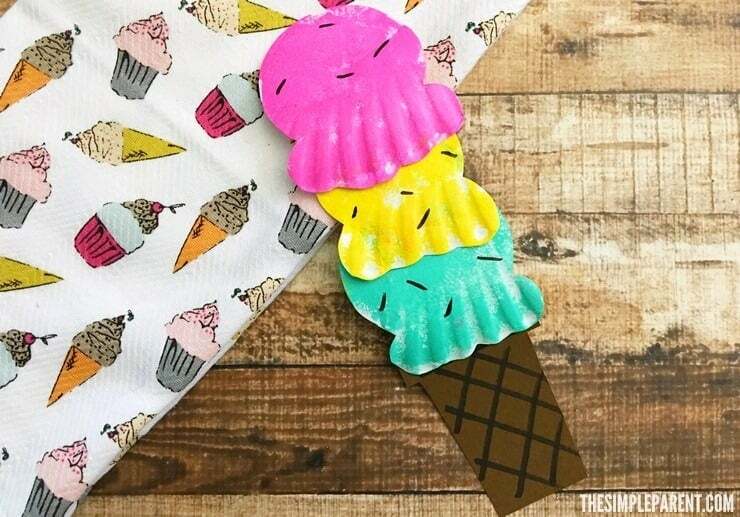 First check out what you need to make your own ice cream cone that won’t melt and get crafty with the kids! You might even have all of the supplies you need already! 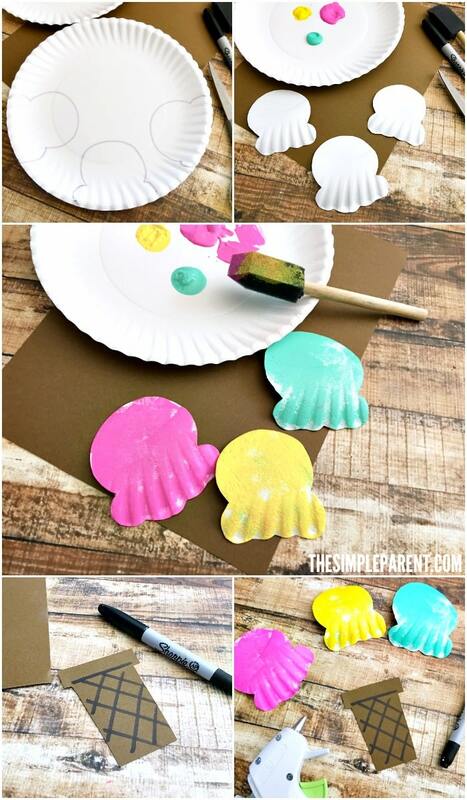 Draw 3 ice cream scoop shapes onto the edge of your paper plate and cut them out. Cut the bottoms of the ice cream scoops so they are wavy. Cut out a ice cream cone from brown construction paper and draw diagonal lines crisscrossing with the black marker. Glue the ice cream scoops on top of each other and on top of the paper cone. Draw on a few sprinkles on each scoop. Going out to get ice cream together is one of our favorite things to do but you can also make your own ice cream at home or get creative with store bought ice cream! Here are some of our favorite ideas! And then there are more ice cream themed activities that don’t involve actually eating ice cream! And if you’re looking for a fun book to read together, here are some of our favorites! These are affiliate links so we thank you for your support!